Delicious Whole Grain Bread — Revised! Those of you who have made the Delicious Whole Grain Bread out of The Walking Bread, the Bread Will Rise cookbook or the Hallee the Homemaker website, be prepared for a WONDERFUL revision! This is my family’s daily bread. I make three or four loaves a week. It is perfect for day-to-day bread needs: sandwiches, toast, gravy mopper. But, the other morning, I was completely out of milk and dried milk. My husband, Gregg, was away at National Guard and I had a friend coming over for lunch, so I had no option but to improvise. I used 1/2 cup buttermilk and 1/2 cup water instead of water and dried milk (or the way I’ve been making it lately – 1 cup skim milk in lieu of water and dried milk.) Gasp! It was PERFECT and, I think, BETTER. Look how beautiful it rose up! If you’ve not tried the recipe, here it is. I promise you, this will become your new go-to daily bread recipe! 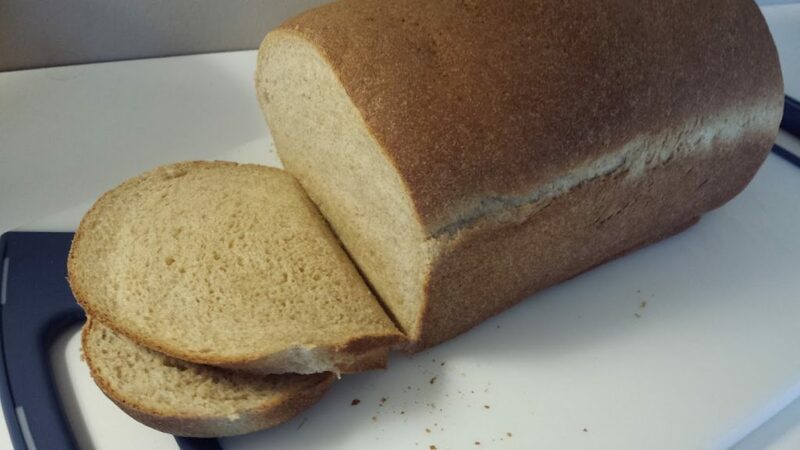 I used to make Honey Oatmeal Bread for our daily bread use. 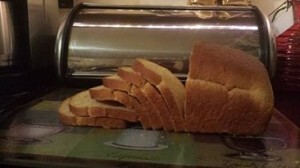 It is SO DELICIOUS and you honestly have never tasted toast as good as this bread makes toast. However, it doesn’t do well for most sandwiches — it’s a little too sweet and a little too crumbly. 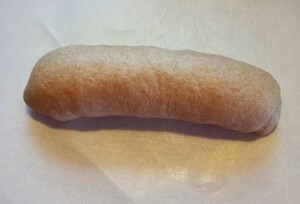 So, in researching writing The Walking Bread; The Bread Will Rise!, I came across a new recipe that I tried out. 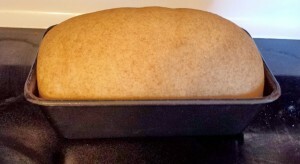 I have to say – I’ve never had homemade whole wheat bread that is this moist and this wonderful. I LOVE this recipe. I modified it from the original recipe – using a fresh ground mixture of hard red and hard white wheat, removing any call for white flour, and replacing brown sugar with raw honey. It made the recipe even better, in my opinion. Melt the butter. If you are using 1 cup skim milk instead of water and dried milk, heat the skim milk with the butter until it is “just” warm – you don’t want to feel heat when you touch it. If you are using the water and buttermilk method, heat those when you melt the butter as well. Mix 1 TBS honey with warm water (or milk or water/buttermilk combo, depending on your version of the recipe). Add yeast. Let stand for 5 minutes. Add remaining flour 1/2 cup at a time until the dough is no longer sticky. Knead with the stand mixer for 2 minutes, or knead by hand for 10 minutes (see note). Once the dough becomes smooth and elastic, put it into a lightly greased bowl. Turn it once and cover with a light towel. Let it sit in a warm spot until it doubles in bulk. It will take about an hour. Punch the dough down. 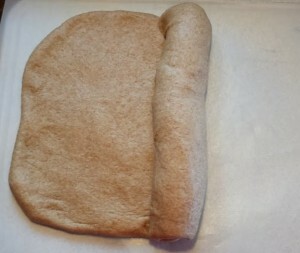 Roll dough into a rectangle and roll up tightly. 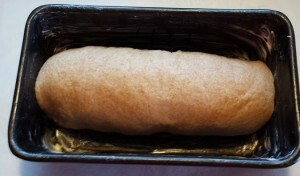 Pinch the ends and place in a greased loaf pan. Bake at 400° degrees F (205° degrees C) for 15 minutes. Reduce the temperature to 350° degrees F (180° degrees C) and bake 20 to 30 minutes longer When you tap the loaf, if it sounds hollow, it’s done. Remove from pan and immediately place on cooling rack. I use a bread machine to mix my dough. I simply put all of the ingredients in the bread machine, without heating anything, and let the machine do all the work for me. I’ve never made it with store-bought whole wheat flour — only fresh ground. If you’re using store-bought, you might to use unbleached white instead. 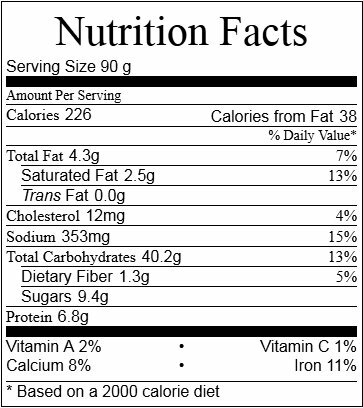 I have used 1 cup skim milk in lieu of the water and dried milk. When adding the honey, if you have a source of local, pure, raw honey ask for the honey comb as well. Including the comb is good for you because consuming the comb increases your resistance to local allergens. And, in this case, I find that it makes for a more moist, melts-in-your mouth bread upon completion. Often, yeast will not proof well in certain types of metal or plastic containers. Glass is best because it is nonporous, but ceramic or enamel also works. This entry was posted in Cookbooks, The Walking Bread; the Bread Will Rise and tagged bread recipe, recipe, the walking bread, whole grain. Bookmark the permalink.